Kajan Johnson - January 18th, 2009: Current XMMA Lightweight Champion, "Ragin'" Kajan Johnson talks about his coming title defence against Steve "The Snake" Claveau, growing up on the native indian reserves in BC, and lots more! Yanick Bergeron - January 11th, 2009. Founder of Team Bergeron talks about the success of his club in MMA, his fighters that will be competing in Strikebox on February 6th, and sets the record straight about Strikebox being its own combat sport. Stephane Patry - January 4h, 2009. The interview was conducted on Dec 31st, and aired on January 4th. 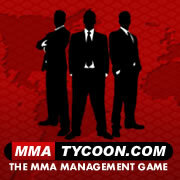 Stephane Patry talks about launching Strikebox, it's rules and how it differs from MMA. Mr. Patry also breaks down the fight card, and talks about Steve Bossé in the main event, as a fighter, and as a person. He also reveals his plans for the company and the direction he wants to take in 2009. Pete Spratt - January 4th, 2009. This interview was conducted on Dec 30th, and aired on January 4th. Pete was signed to the first match in Strikebox history against Martin Grandmont. Pete Spratt gives his take on Strikebox's controversial new rules. He also talks about his plans on doing something that no one else has ever done in combat sports. Many of the interviews are found in our full show archives. Thierry Quenneville, who will be in a grudge match against Ben Greer. The Franchise interview with Patrick "The Predator" Côté. The Franchise interview with Jonathan "The Road Warrior" Goulet. Here is the 3 part series of interviews we conducted with Jonathan on his Road to UFC 83: Part 1, Part 2, Part 3. The Franchise interview with Scott Wright, we are not happy with the audio quality, but we love the interview anyway. The Franchise interview with Jesse Bongfeldt, also issues with the Audio, but cleaned up as much as possible. The Franchise interview with Nicky Ryann, host of Rough on The Fight Network. The Franchise interview with Gary Goodridge, who recently signed with MFC.